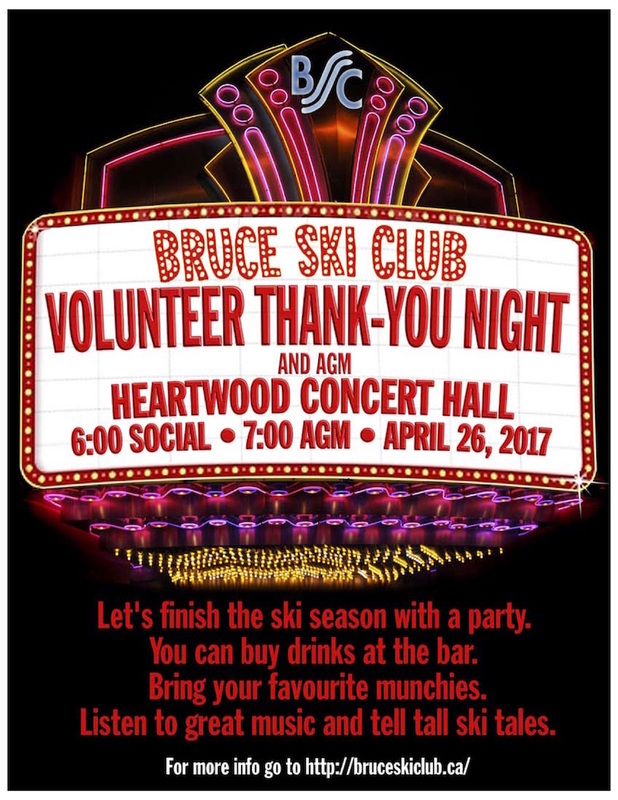 Bruce Ski Club’s Annual General meeting will be held on April 26, 2017, at 7 pm at Heartwood Concert Hall in Owen Sound. This will be preceded by a social hour at 6 pm. The meeting is open to all members and the public. This is your opportunity to have input into the operation of our club. New ideas are always welcome! We will also be recognizing our hard-working volunteers who help keep our trails open and operating costs down. The social hour is BYOS … bring your own snacks. Drinks will be available for purchase at the bar.